Images of current exhibitions are available from both the current press releases and via the Image tab. Photos of the building, the interior, Sonneveld House and portraits of the director are also available from the Image tab. If you are looking for another kind of image, please contact the press office. We offer journalists and press photographers the opportunity to attend a press preview prior to the official opening of an exhibition. For further information please contact the press office. Journalists are very welcome at Het Nieuwe Instituut and Sonneveld House. Please request a press visit in advance via the press office. Film and photo shoots can be arranged upon request. 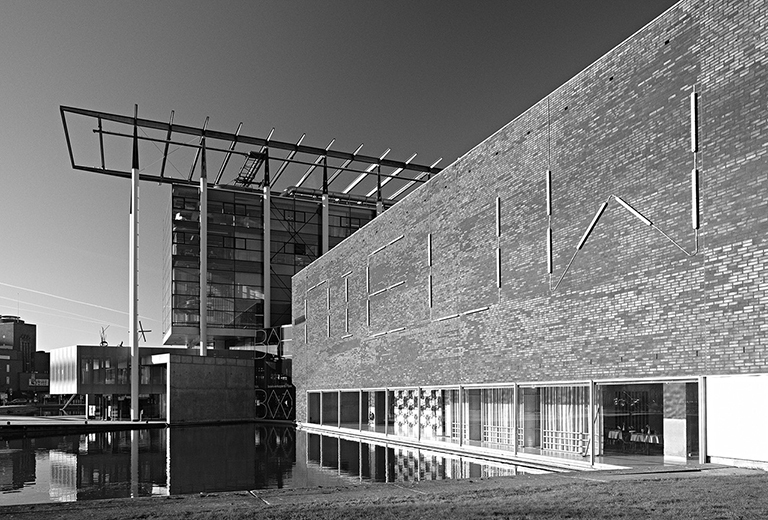 If you are a journalist and want to be kept up to date with the latest exhibitions and events at Het Nieuwe Instituut, please fill in this form and you automatically receive our press releases in future.